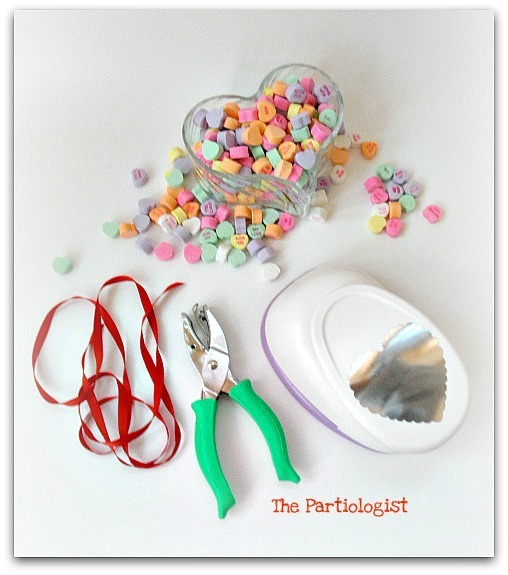 The Partiologist: Conversation Heart Party - DIY Valentine Invitation! 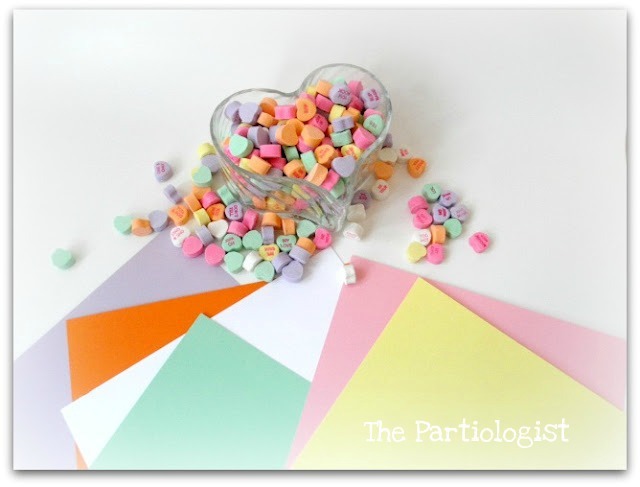 Conversation Heart Party - DIY Valentine Invitation! 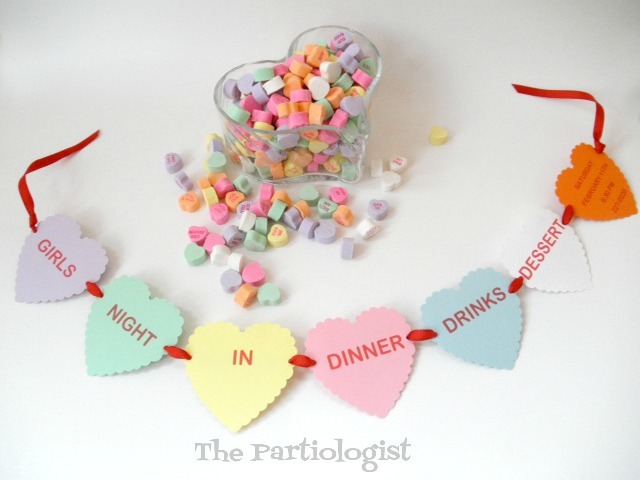 Are you planning a conversation heart party? I have EVERYTHING you need to get started. 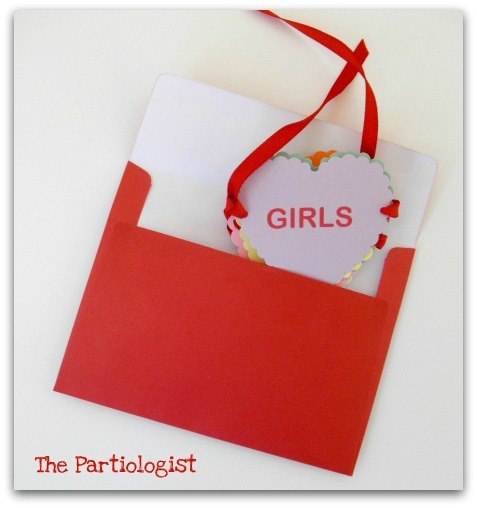 Including the DIY Invitation. Wouldn't it be fun to receive a string of hearts for the invitation? After a shopping trip to Hobby Lobby, I came home with my supplies including card stock in Conversation Heart colors, a couple punches and red ribbon. One small round punch and one jumbo heart punch! After printing out one word six times on a piece of card stock - I punched each one out. Then I repeated each page until I had my message printed. Punched little holes on each side of the heart and strung the ribbon through. Folded them up accordion style. And placed in red envelopes. 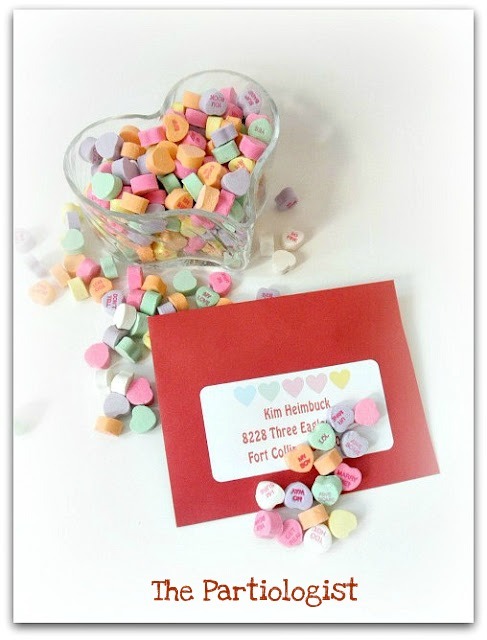 I printed out the address labels with hearts across the top. Now that you've seen the invitation, I can't wait to show you the rest of the Party!! Oh boy, this is going to be a fun one to come back to! Can't wait to see what else you're doing for the party!!!!! The invitations are perfect for the occasion!!! Thanks Tricia! I've got so much more to share!! Any chance you could tell me the font used for the words? It's PERFECT!